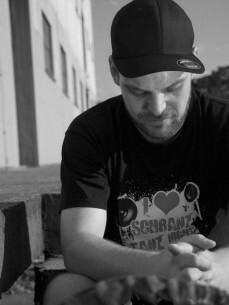 Born 1986 in Schwetzingen Germany, Patrick aka Tekkerkane had an early interest in music. Especially the uprising electronic music genres took a big place in his heart. As he got older his taste evolved more and more to hard drum driven productions with a big love for heavy basslines. Finally he found his passion in Hardtechno, which made him also buying his first Dj gear later in 2009. Starting his adventure at some cheap Reloop setup, he soon realized that Djing is going to play a big role in his life. Soon after that he upgraded to a pair of Pioneer CDJ 850 combed with a DJM 750 and all the madness was born. His special style of mixing Hardtechno is unique in the scene. He will always serve a premium selection of brand new, forward driven, bassline heavy tracks on the dance floor, topped with some Hardtechno Classics that you never heard before in a way like this. What makes his style so special is his unique style of cutting tracks, making his sets various and loaded, heating up clubs all over Europe. Promise, you never heard Hardtechno this way!